The inventor of a glove that allows users to shoot foam string – in the manner of Spider-Man – has asked the US Supreme Court to overrule a previous decision that an agreement that includes royalties for the use of a patented invention after the expiration of the patent is unlawful per se. 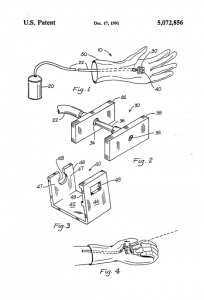 In 1990, Stephen Kimble applied for a patent for a glove that allows the wearer to shoot foam string from the palm, in imitation of Spider-Man. The patent was issued in 1991. While the patent was still pending, Kimble discussed his invention with president of Marvel’s predecessor company. (Marvel owns the rights to Spider-Man and many other comic book heroes.) After the meeting, Marvel began selling a similar toy called the “Web Blaster.” Kimble sued for patent infringement and breach of contract in 1997, based on an alleged oral contract to compensate him for the use of his ideas. A jury found that Marvel had, in fact, breached a contractual promise to Kimble. However, the District Court granted summary judgment to Marvel on Kimble’s patent infringement claim. While the appeals were pending, the parties settled. The settlement included an agreement that Marvel would buy the patent for a lump-sum plus a running royalty based on future product sales. The patent expired in 2010. However, the settlement agreement had no expiration date. The parties apparently construed the royalty agreement to include the requirement for Marvel to continue paying royalties after the patent expired. A license for inseparable patent and non-patent rights involving royalty payments that extends beyond a patent term is unenforceable for the post-expiration period unless the agreement provides a discount for the non-patent rights from the patent-protected rate. Kimble is asking the Supreme Court to overrule Brulotte on the grounds that its per se rule is too rigid, and that patent licensees shouldn’t be forced to amortize royalty payments only within the term of the patents. This case provides a reminder that – unless Kimble’s appeal is successful – patent licensing deals must be structured in such a way as not to outlast the patent or at least to expressly provide for a reduced royalty rate post expiration of the patent.